See scan - perfect condition. 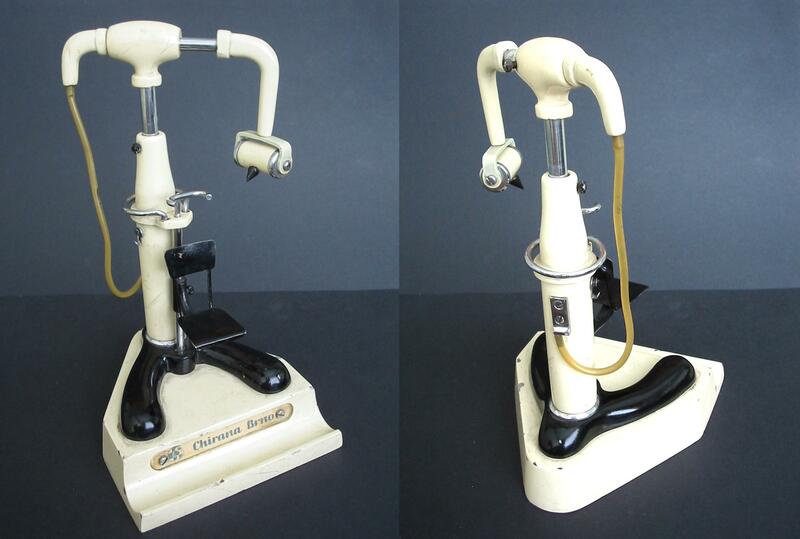 This is a nice and very rare Czechoslovakia / Czech 1930ies miniature display doll toy Dental / Dentist Xray Machine made by Chirana Brno. The whole display / toy piece is made out of full detail cast bronze or other metal alloy, greatly enameled and painted and with perfect adjustable and moving parts. Size is about 200mm high x 120mm wide at its widest part. Nice dolls and/or antique dental equipment collector piece and one of the rare dental / medical dentis doll toys.